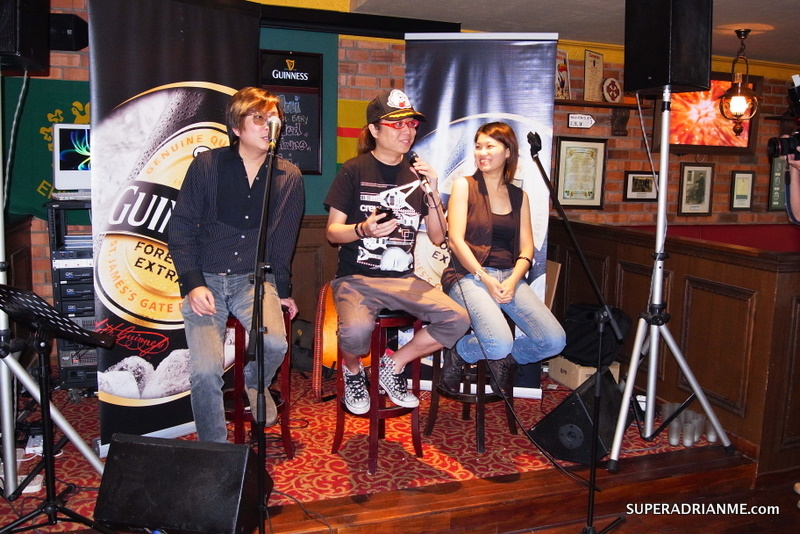 27 October 2010, Singapore – Guinness collaborates with music industry veterans Eric Ng, Jim Lim and Xiao Han to unveil the theme song of Guinness Live! Unplugged talent programme and music event series, “Rise Together” 最够朋友. ‘Guinness Live! Unplugged’ is a talent development programme and event series that gives eight upcoming Chinese bands the opportunity to showcase and hone their talents. Mentors, comprising of music industry experts and veterans such as Xiao Han, Eric Ng, Jim Lim and Anthony Png will collaborate with the bands – giving them advice, pointers and guidance throughout the programme. This programme was kicked off on 17 September and will span across 18 weeks. These events are held at premium dining outlets in the Singapore heartlands featuring three bands per performance. 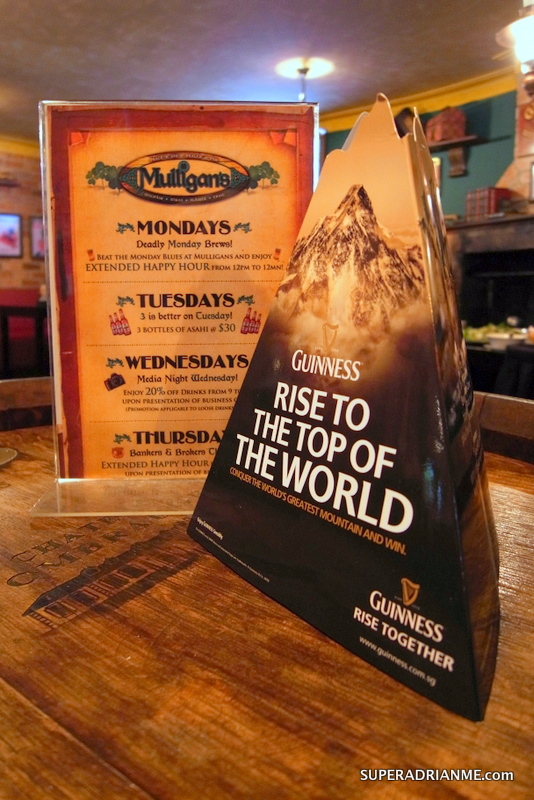 Guinness specials and activities with prize premiums will be available to audience members. 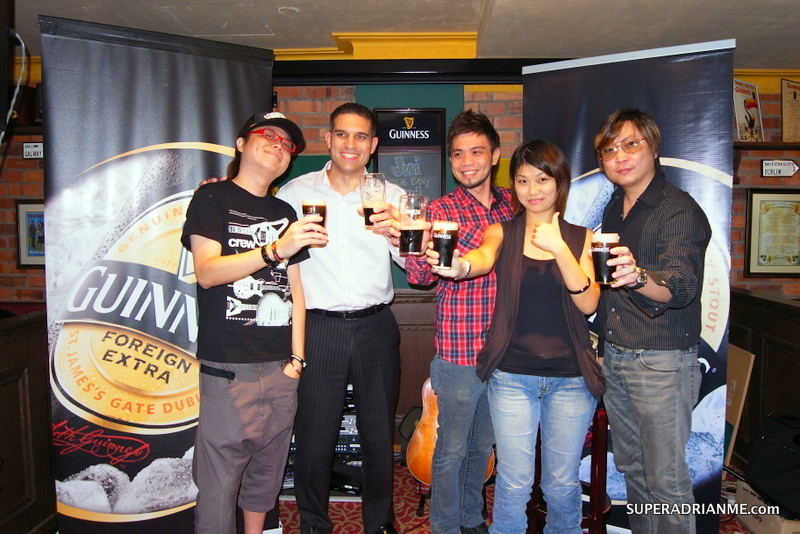 Guinness’s philosophy of connecting and collaborating with good friends to empower each indivdual to create new opportunities and get ahead of life was the inspiration behind the theme song. The song is the creation of Eric Ng of Funkie Monkies and Jim Lim of DreamzFM, with lyrics by songwriter Xiaohan and performed by local aspiring local artiste Ngak. Ngak is grateful he had the opportunity and mentorship that got him to where he is today. He is also happy that Guinness is investing in a meaningful way to genuinely develop the local Chinese music scene. Ngak, Indie singer and songwriter, is a familiar voice and face at clubs such as Hard rock Cafe and Wala Wala. He has been in the scene for about two years and has rapidly risen up the ranks as a prominent local performer. His first Mandarin Song 身外物 was featured on the original soundtrack of the well-acclaimed local movie “881” that has sold more than 13,000 copies in Singapore. His passion for music can be felt during his performances and his work. Guinness fans can spend their Friday evenings enjoying great food and beers with their friends together with ‘live’ entertainment. Every fortnight, eight specially selected up-and-coming bands will take turns to showcase their musical talent at over 40 roadshows held at various heartland locations island-wide. 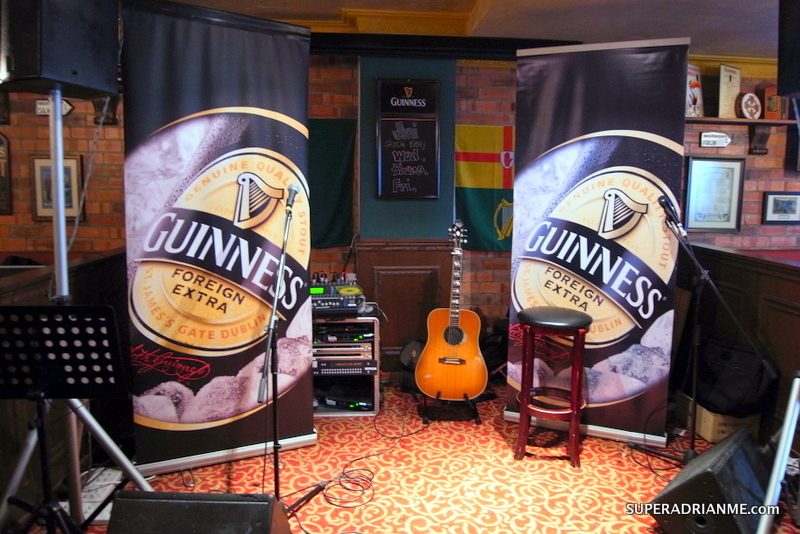 Guinness is also offering a once-in-a-lifetime opportunity to one of the eight ‘Guinness Live! Unplugged’ bands, as well as one lucky consumer and a friend. Both groups will be invited to attend at 3day/2night trip to watch Emil Chau ‘live’ in concert with a unique twist – an exclusive behind-the-scenes experience of the entire production with a potential opportunity to meet Emil himself. To win, you will need to take part in the ‘Guinness Live! Unplugged – ‘Unplug Yourself’ fan challenge and create your own music videos of the ‘Rise Together” song. You can choose to record original renditions or use the song’s minus one track, which is available for download on Facebook. Upload your entries to the ‘Guinness Live! Unplugged’ Facebook page. The winning entry will be the video with the most number of “likes” at the end of the contest period. Mechanics: Submission Deadline is 24 December 2010. Voting period is from 3 – 14 January 2011. Click here for more information about ‘Guinness Live! Unplugged’ events.